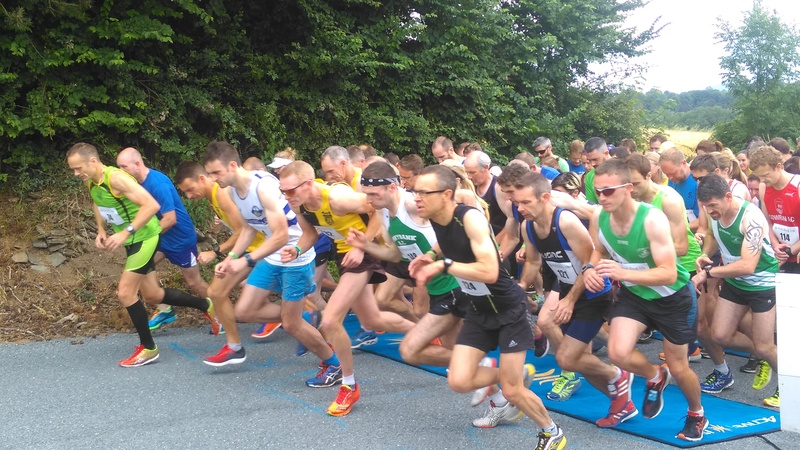 On a fine day for running in South Kilkenny, the sixth running of the Pink Rock 10k organised by St Joseph’s AC provided the setting for the County 10k. With almost 230 competing in the Pink Rock 10k, despite sporting spectacles elsewhere, there were high calibre performances with competitors from six of the County’s clubs. Talking a strong lead early on in the men’s event, Brian Maher (KCH) led the field home in a time of 31:40. Good runs from his teammates Paul Moran, Pat Purcell and Edward O’Keeffe meant the city club took team honours with Thomastown taking silver from St Joseph’s in third. In the individual men James Kelly (Castlecomer) took silver while Gowran’s Dean Rowe took third. In the women, St Joseph’s home advantage meant a clean sweep in the team event while Sally Forristal took gold in the individual event in a time of 38:15. St Senan’s Adele Walsh came second while Elaine O’Donovan from the host club finished third. Thanks are due to St Josephs for their excellent organization and hospitality.